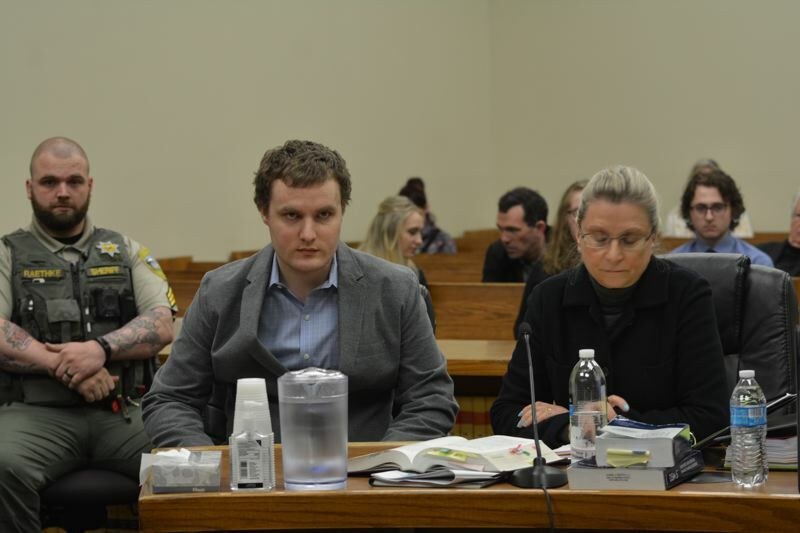 Daniel Butts, who is accused of killing Rainier Police Chief Ralph Painter in 2011, is expected to enter a plea and be sentenced at a hearing tomorrow morning, Tuesday, March 26. Butts is expected to plead guilty to murder and guilty except for insanity to the other charges and receive a sentence of at least 41 years, per an agreement facilitated by retired Multnomah County Circuit Judge Jean Maurer, according to Ralph Painter's young brother, Alan Painter. "It's a two-pronged plea. It's a weird plea, I've never seen one like it," Painter said. Columbia County District Attorney Jeff Auxier declined to comment Monday. Butts faces charges including aggravated murder with a firearm for allegedly stealing Painter's gun and fatally shooting him with it in January 2011. In the eight years since, the court case has slowly dragged on. The 2011 shooting took place as Butts allegedly attempted to steal a car from a car stereo shop in Rainier. Court documents show Butts admitted to repeatedly punching Painter after Painter pepper sprayed him, then grabbing the officer's firearm and shooting him. In March 2013, the court determined Butts was not mentally fit to stand trial. Butts was sent to the Oregon State Hospital, where he was treated for schizophrenia. Last July, Columbia Circuit Judge Ted Grove determined Butts was fit to stand trial. The symptoms of Butts' schizophrenia "have greatly diminished as a result of his current hospitalization and forced medication," Grove wrote in a letter to prosecutors and Butts' attorneys dated July 3, 2018. Butts' attorneys had argued that the defendant's attitude was "delusional," evidenced by his maintained belief that the jury would find the shooting was justified. But Grove sided with District Attorney Jeff Auxier, who, in a since-sealed February 2018 document obtained by the Spotlight, argued that Butts' beliefs "resemble a type of criminal thinking that is common among defendants. It is not the product of a mental illness." Court dates scheduled for September 2018 to February 2019 had been cancelled or postponed. After months of negotiations led by Maurer, the DA and attorneys for Butts reached the plea deal that is expected to be announced tomorrow. Family members of Chief Painter are expected to speak at the hearing.